WILLEMSTAD – Former Prime Minister of Curaçao Gerrit Schotte and the other applicants who requested the European Court of Human Rights to review their case have received an answer from the court. The request has not been put to the Court for decision as the application falls outside the scope of Rule 39. 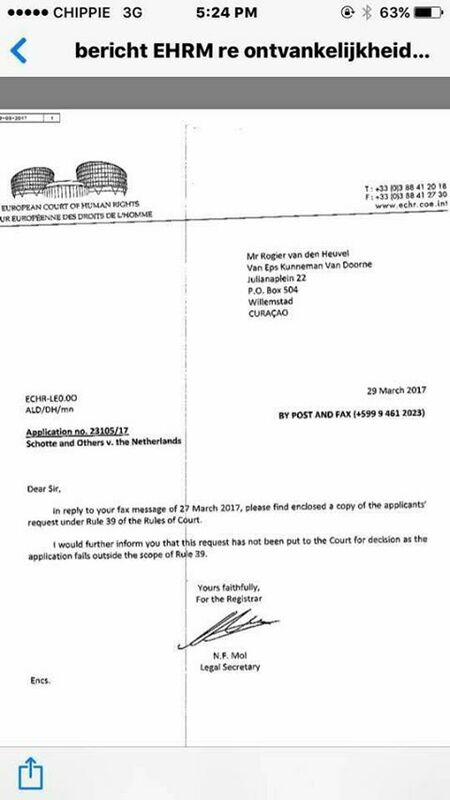 That was the answer from the European Court of Human Rights.